ARM were the developers of the processors that made smart phones “smart”. Now used in some form in virtually all of the world’s smart phones, their invention has changed the world. In another potentially world-changing move, ARM have designed hardware to support artificial intelligence-type algorithms, which would move your phone from being “smart” to being an AI device. ARM are a firm that specialises in chip design; originally British until a $40 billion buyout in 2016 by Japanese company Softbank. ARM recently announced the development of their new machine-learning chips, which are designed for mobile devices and smart home applications. Hardware manufacturers make their own chips, but companies like ARM sometimes provide the design. The chip design firm ARM will work closely with their hardware partners, such as Qualcomm, Nvidia and Samsung, to see these chips manufactured and implemented. Thanks to these partnerships, we could see devices that use the chips for sale as early as 2019. ARM has designed two chips that are designed to handle different AI functions. The Machine Learning processor handles AI tasks like translation. The Object Detection processor can analyse images and detect different parts that are passed along to the Machine Learning processor. For example, the Object Detection processor could analyse an image for faces in the image and pass along the information to the Machine Learning processor, where it can be used in facial recognition processes. While the chips are currently destined for personal handheld devices, the potential for these chips is enormous. Their designs should be adaptable for much more complex applications, like devices used for Internet of Things setups, or enlarged and improved for data centres, as well as being found in smaller devices. In fact, the company sees the major growth of their chips being in IoT applications rather than smartphone devices. One of the biggest challenges facing devices with AI technology is how much support is needed to run the algorithms. In the past, this issue has been overcome using huge servers in the cloud. Having small devices that are capable of running their own algorithms will solve many of the limitations currently faced by this kind of technology, including cutting lag time, allowing offline usage, and addressing privacy concerns by having all information contained on the device. The chips were reworked to consume less power, and are efficient at moving data and complete the linear-algebra calculations that modern AI concepts are based on. While other companies haven’t yet reached the sophistication of ARM’s new chip, there are some advances in AI technology that are integrated into devices available now. 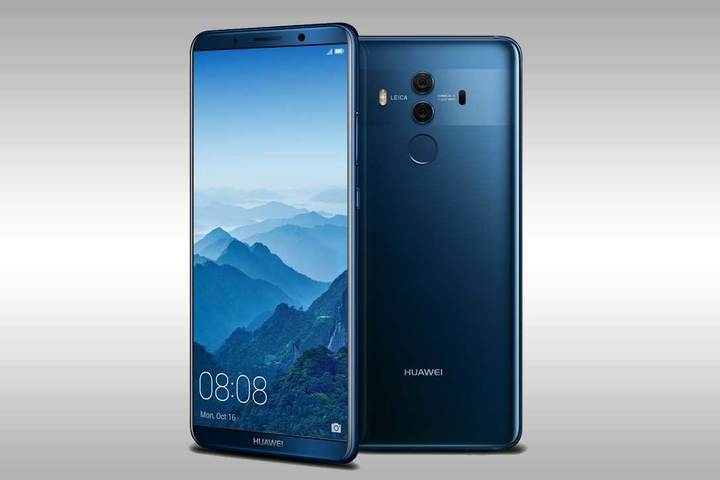 Huawei have incorporated a “neural processing unit” into their Mate 10. The iPhone X also makes use of the neural concept with a “neural engine” as part of their chipset. The Pixel 2 has a chip designed by Google to help it tackle AI problems. These chips are already being used for images, speech processing and machine-learning programs. However, the ARM announcement is exciting because of their reputation for high-quality, revolutionary designs that have lower power requirements. Recently, concerns came to light about security flaws in most modern processors that could make them vulnerable to attack. While not just specific to one company or design, the design technique could leave devices open for hackers to access data from the device’s memory. The issue goes back two decades and affects a range of devices. Intel, ARM and AMD have been working together for a solution, which they say will just require a software update. While modern chip designers will now be aware of those security flaws and be able to design around them, the issue highlights how new technology can have loopholes and flaws present that can remain undetected. The concerns are amplified for IoT devices. As IoT devices are connected to each other and require personal data to be effective, security and privacy issues will be at the forefront of consumer concerns. For now though, not requiring a cloud server to complete AI algorithms is a security bonus, and past issues will obviously be addressed in the new chips. Designers, manufacturers and licensing bodies will need to keep a close eye on how secure our personal information is as we entrust more and more information to chips like this. Concerns aside, the advances in AI technology represent an exciting new range of possibilities for personal devices and IoT applications. These tiny processors could once again make big changes to the technological world.